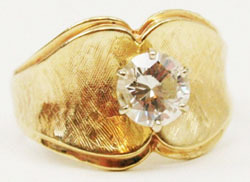 Sell jewelry In Tallahassee: Manor Auctions is Tallahassee's leading buyer of Fine jewelry. If you are selling jewelry in Tallahassee, visit Manor for a no cost appraisal. 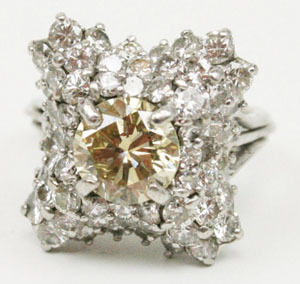 Our Tallahassee gallery guarantees prompt, friendly service and pays up to the minute market prices for your jewelry. Selling diamonds, estate jewelry or designer Jewelry, such as Cartier, David Yurman or Tiffany - we pay substantial premiums. No appointment necessary, simply stop in and allow one of our professional staff to sit with you a moment and appraise your Jewelry. We take the time to review each piece individually to ensure you are paid the most possible. The valuation is based on a multitude of factors, including re-saleability, precious / semi-precious stones, condition, appeal, maker, weight and fineness (karat). The evaluation generally takes just a few moments, and once complete we are able to make you an offer on your Jewelry. Because Manor Auctions has a large, global customer base and sells through retail, private treaty and catalog auction - Manor is able to offer you the most money 14K Yellow gold Diamond Estate Ring when you sell your Jewelry with us. Manor also offers very generous consignment terms for those wanting to consign Fine Jewelry & Diamonds to our catalog auctions. gold continues to trade at historic highs. You have probably heard it already, but there has truly never been a better time to sell Jewelry. 18K White gold Art Deco Diamond & Sapphire RingIf you are selling Jewelry in Tallahassee, please take a moment to visit Manor Auctions Gallery in the Tallahassee Mall at 2415 N. Monroe St., Tallahassee FL 32303. We also gladly make house and bank appointments (including evening and weekends). Call with questions or to schedule a house appointment: 850-523-3787. Copyright Manor Auctions. All Rights Reserved.